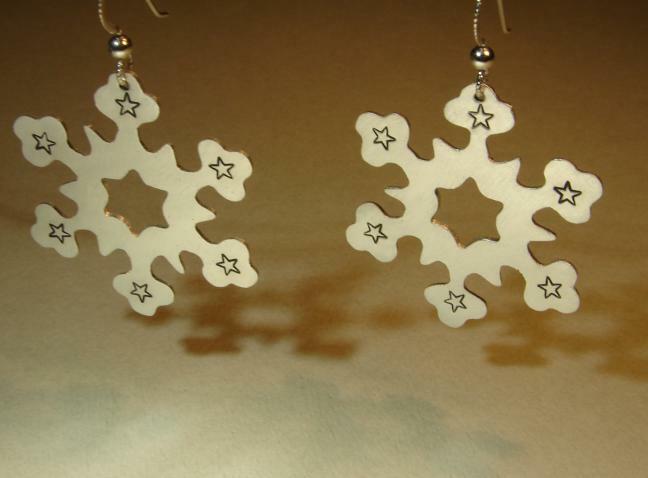 Freshly fallen from a silver winter sky, these snowflake earrings were sawed by hand with a jewelry saw from 20 gauge sterling silver in my own unique snowflake design. 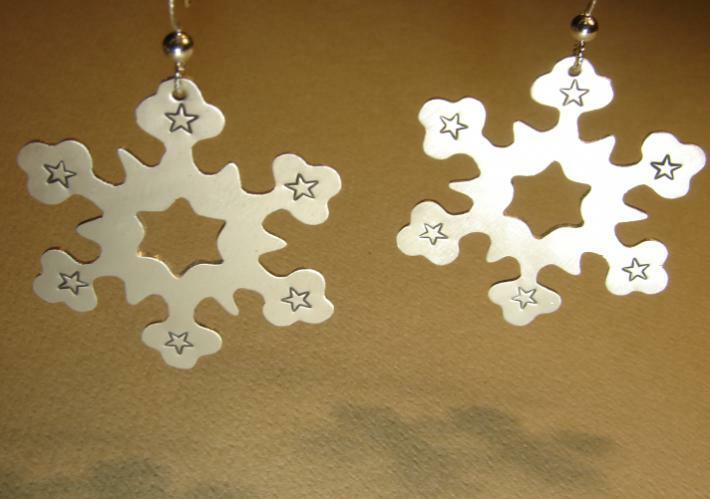 The flowing contours and center cut out created with a pierce and cut sawing technique, give these snowflakes a light airy feel and capture the unique geometrical shapes of a snowflake aloft in the breeze. 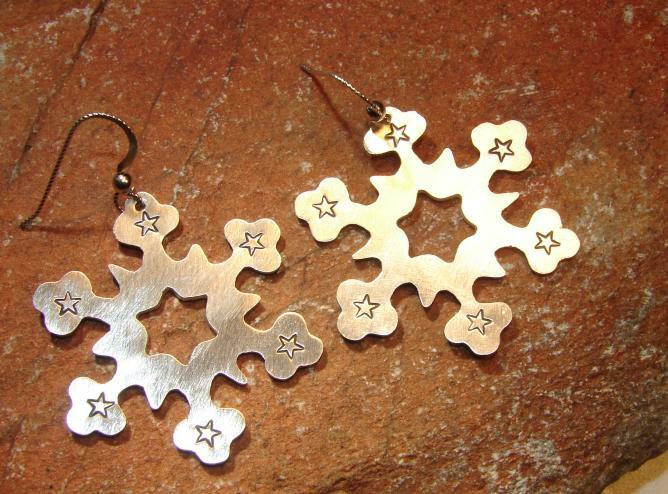 A small star was stamped on each of the corners with an added patina to provide an artistic touch and needed pause from the radiant silver shine of brushed sterling silver. 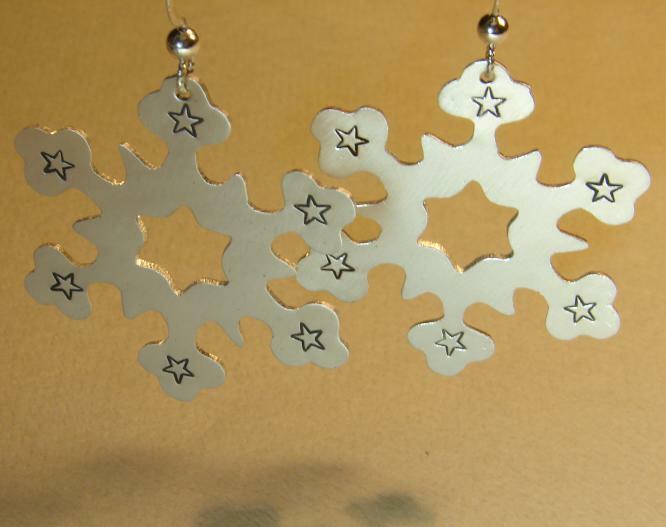 The snowflake earrings measure about 1.5 inches in diameter and dangle from hypoallergenic sterling silver ear wires.